Sir Alex Ferguson will return to the Old Trafford dugout to manage the Manchester United 2008 XI, in Michael Carrick’s testimonial game this year. This was confirmed via the Premier League club’s official Twitter handle on Monday morning. Ferguson stepped down as manager of the Red Devils after the 2012/2013 season. Harry Redknapp, who managed the former England midfielder at West Ham United, will be in charge of the Michael Carrick All-Star XI. 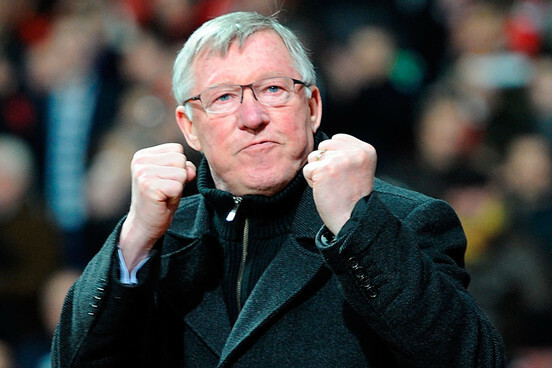 “I think the best bit will be seeing the players, to be honest with you,” Ferguson told MUTV. “No [I don’t miss managing]. I miss the big games of course but I made my decision and I’m enjoying it. I don’t have to worry about you lads or the agents or the press conferences and having to control that press secretary of mine! “I’m delighted Michael is getting a testimonial. It tells you Manchester United are probably the only club in England that can do that. Players do tend to stay a long time here. We don’t have players here one minute and gone the next. If you go right back to my time, most of the players stayed 10 or even more years. I think we can be proud of that fact, being a family-type club. It encourages players to put roots down here and enjoy it. The testimonial will be played on June 8 and kick-off is 4pm.